A perfect introduction to building and trimming. Ideal for indoor (sports hall) competitions. Whats that? You havent owned a DPR Chuckie? You havent lived. May we politely ask where on earth You've been all these years? Previous Chuckie owners wont bother reading the rest of this, theyll already be heading for their local JP stockist to pick one up. Everyone else, take note: Designed many, many moons ago the Chuckie is an aeromodelling classic thats been sold in massive numbers over the years. Tough, practical and offering outstanding flight characteristics its not just the kids that love em, oh no. 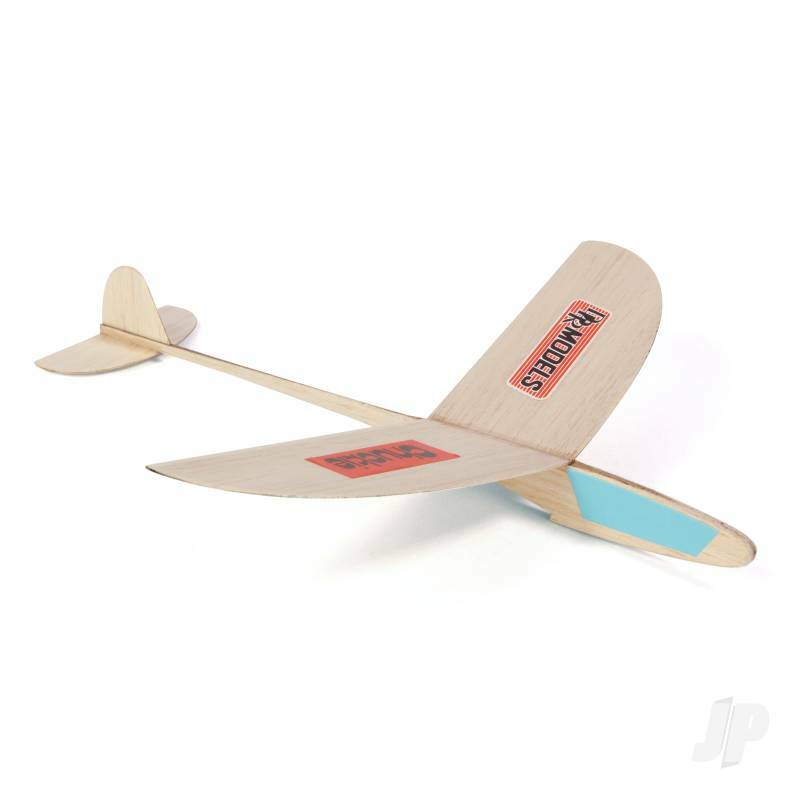 Get a group of model flyers together, give them each a Chuckie and youll be amazed how superbly well this lightweight all-balsa glider can be trimmed and flown, especially in competition. Its all down to how you build it, how you lighten it, and how you trim it. This, then, is what makes the Chuckie such a successful machine. Build it strong for the kids and theyll marvel at how well it flies. Sand it, lighten it, tune it, and it becomes a very capable flyer for discerning aeromodeller.